Jeep lift kits are aftermarket accessories designed to improve your overall ground clearance and off-road performance. A lift kit will increase your vehicle’s clearance by one-inch or more. Palmer Custom Jeeps by SORS offers packaged lift kits for an added level of convenience. While there were traditionally two types of lift kits: body lift kits and suspension kits. Southern Off Roads & Palmer Custom Jeeps prefers installing suspension lift kits for Jeeps because of their superior ability to transform you driving capabilities. With our lift kits, all components are carefully matched and coordinated to fit your vehicle for optimum performance and longevity. Why Should You Lift Your Jeep Wrangler? In general, there are two primary reasons to lift your Jeep. Some people do it solely for the more muscular and aggressive stance of a lifted jeep. For instance, if you want larger wheels, a lift kit may be the only way to achieve this goal. However, most people choose lift kits for Jeep to achieve a superior level of off road performance. Even though base level Jeep is a capable off-road vehicle, a lifted jeep can significantly improve your ability to tame the roughest terrains. The greater height typically improves the vehicle’s ability to flex it’s suspension and approach sharp angles. The improved ground clearance simplifies negotiating terrains as well as straddling large obstacles and climbing. Before you decide to lift your Wrangler, it’s important to be honest about how you plan on using the vehicle. Are you planning on using the to haul kids from soccer practice, trips to the malls, and for daily commutes to work? On the other hand, you may have intentions of crushing rocks and creating an unstoppable monster. Most Jeep owners will engage in a combination of both. In any case, it’s important to determine how you will use your Jeep. This will dictate which accessories and parts will be necessary to help you achieve the performance you desire with considerations to your budget. What’s Your Jeep Customization Budget? It’s important that your expectations stay inline with the budget. One way to save money and get the most bang for your buck is to choose one of our customized packages. Not All Jeep Lift Kits Are Created Equally! With the massive barrage of aftermarket Jeep lift kit parts and accessories, getting started can be confusing and slightly overwhelming. At Palmer Custom Jeeps by SORS, we only use high quality, rigorously tested, and well engineered products. We never choose products that sacrifice necessary components or quality in an effort to make the product more affordable. 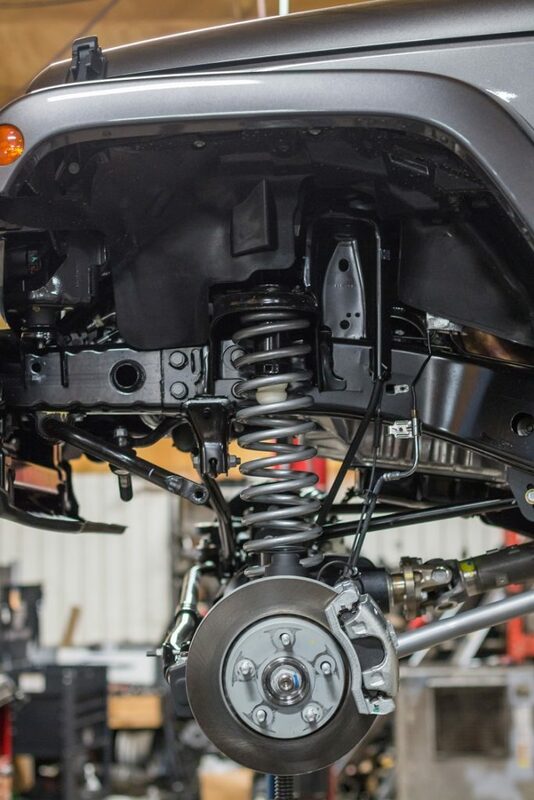 When it comes to altering any of the crucial components on your jeep, such as the steering, suspension, and brakes, it’s vital to choose reliable parts. Simply put, you get what you pay for, and sacrificing safety and quality is never a good choice. Whether you are looking to purchase a Jeep, customize your existing Jeep, or purchase a Jeep already customized, the professionals at Palmer Custom Jeeps by SORS in Roswell can help. We bring more than 15 years of stellar experience creating one-of-a-kind off-road chariots with stellar on road experience. Contact Palmer Custom Jeeps by SORS in Roswell today to begin the transformation process.